Getting a science experiment on the world's only floating outpost in Earth orbit is a costly and time-consuming endeavour. ICE Cubes is ESA's faster, lower cost answer to making science happen in space. The International Commercial Experiment Cubes or ICE Cubes is a facility that houses modular experiments on the International Space Station. The 10 x 10 x 10 cm cubes, like the one in this photo taken by Canadian astronaut David Saint-Jacques, houses an experiment developed by the International Space University based in Strasbourg, France. Experiments are sent to the Space Station on regular cargo missions. Once in space, the cubes are plugged into the facility by an astronaut and voila, science can begin! A dedicated control centre in Belgium allows researchers 24/7 access to their experiment data via secure remote login. The data coming from the Columbus laboratory can be monitored at any time of the day and customers can even send commands to the experiment cubes to change parameters or start a next step in the experiment. The ICE Cubes service is based on a partnership between Space Applications Services and ESA and is part of ESA's strategy to ensure access to weightless research in low Earth orbit. The ICE Cubes model is part of a growing commercial trend in space exploration. Missions to the Moon and beyond are being planned not only in cooperation with international space agencies but also with industry partners as the space share-economy develops. This more sustainable approach drives down the cost, allowing for more missions overall. 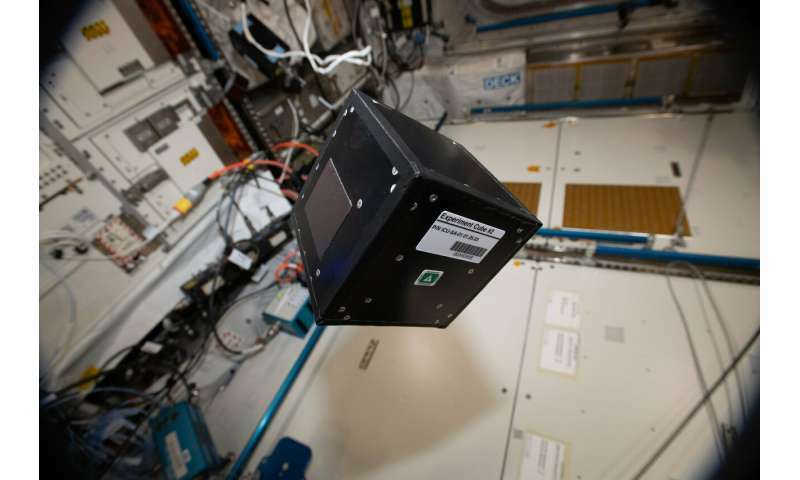 The first cubes were installed by ESA astronaut Alexander Gerst last year and included an experiment researching methane-producing microorganisms and how they behave in space. Watch this video of the installation. These first experiments highlight the versatility of this easier, faster and more affordable access to research in weightlessness, ensuring any company, organisation or educational institution can be a part of orbital research for years to come. The ICE Cubes service allows experiments to run for over four months in space. Astronaut time and expert advice come as part of the package and experiments and samples can be returned to Earth for analysis. For more information visit the ICE Cubes website.